Executing the query “BACKUP DATABASE [DBNAME] TO DISK = N’…” failed with the following error: “Cannot perform a differential backup for database “DBNAME”, because a current database backup does not exist. Perform a full database backup by reissuing BACKUP DATABASE, omitting the WITH DIFFERENTIAL option. BACKUP DATABASE is terminating abnormally.”. Possible failure reasons: Problems with the query, “ResultSet” property not set correctly, parameters not set correctly, or connection not established correctly. The strange thing is that the logs show all Weekly Full backups have completed without error. If I run a manual Full Backup, the next Differential Backup will complete, then the following day will fail. 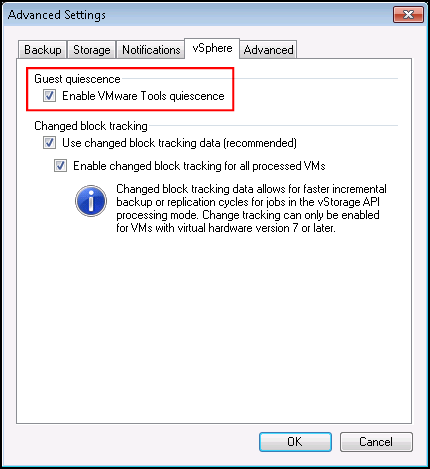 Using the above queries, I found out Veeam B&R was breaking the backup chain. 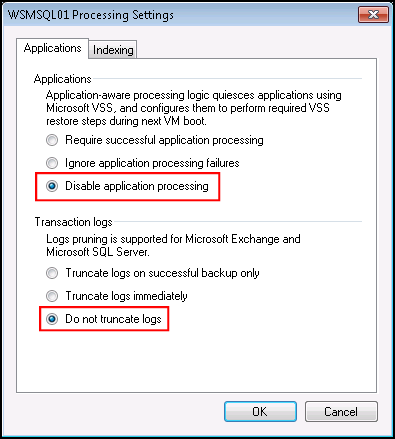 These changes will ensure COPY_ONLY backups are used for your SQL Server.